Home, Door and Window Products has been providing outstanding customer service and high caliber steel doors for over three decades. We have been one of the leaders in the steel door industry because of our great relationships with clients and our quality steel exterior doors and steel entry doors. We have had over 150,000 satisfied customers at Home and Door. Therma-Tru steel doors are the most durable doors on the market, and we have a variety of steel entry doors in stock. Our beautiful steel front doors will enhance your Southfield home or business all while adding value. 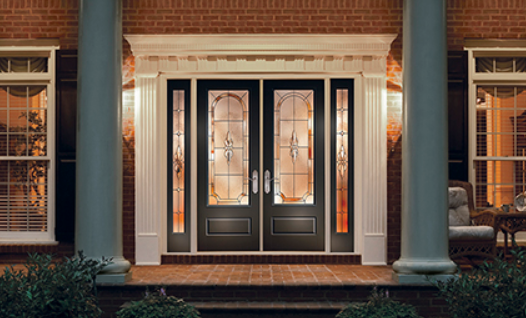 Home and Door is a reputable company in the Southfield area. Southfield is a northern suburb of Detroit, MI. with a population of 71,739. A part of Metro Detroit’s upscale office market, Southfield marque is a cluster of five golden skyscrapers – known as the “Golden Triangle.” Purchasing a steel entry door from Home and Door will save you money, not only are our doors gorgeous but they are energy efficient. Home and Door offers the best assortment of steel doors, and we can also create a one of a kind steel door for your home or office. Home and Door has Therma-Tru doors which are the finest steel doors on the market. We have a showroom showcasing all of our fantastic steel exterior doors and steel entry doors. Come in today and speak to our skilled sales person who is extremely knowledgeable on the latest technology. Home and Door’s goal is to exceed your expectations and guarantee that you will receive the best steel door available. For more information on how to obtain a free, no-obligation estimate contact Home, Door and Window Products at (248) 399-9900 right now!